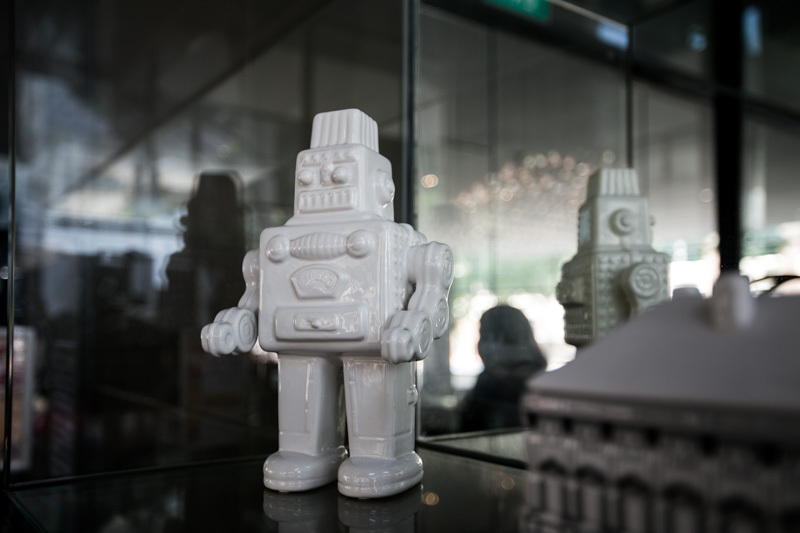 Brought to you by Millennium Hotels & Resorts, Studio M’s loft-inspired rooms have been a hot staycation favourite for Singaporean couples due to their stylish design and oh so instagram-worthy rooms. 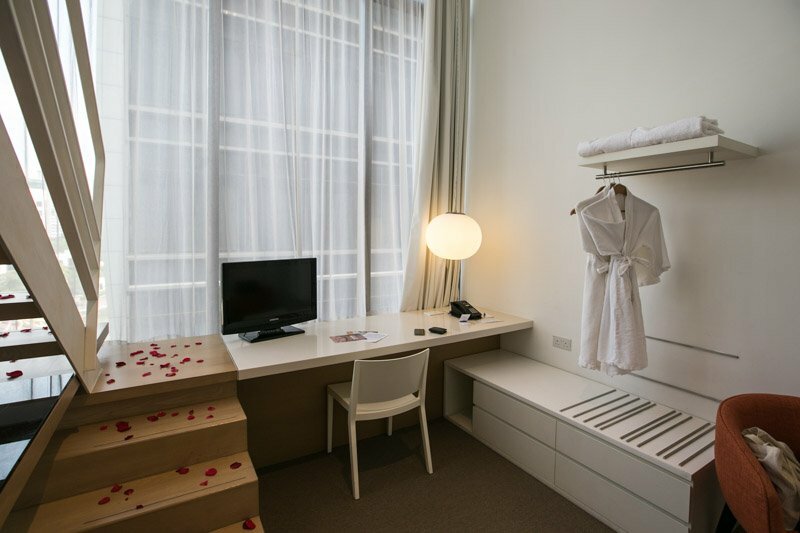 Rooms are usually fully booked over the weekend by many locals looking for a romantic getaway, while overseas travelers are also drawn by the hotel’s modern design and convenient location. 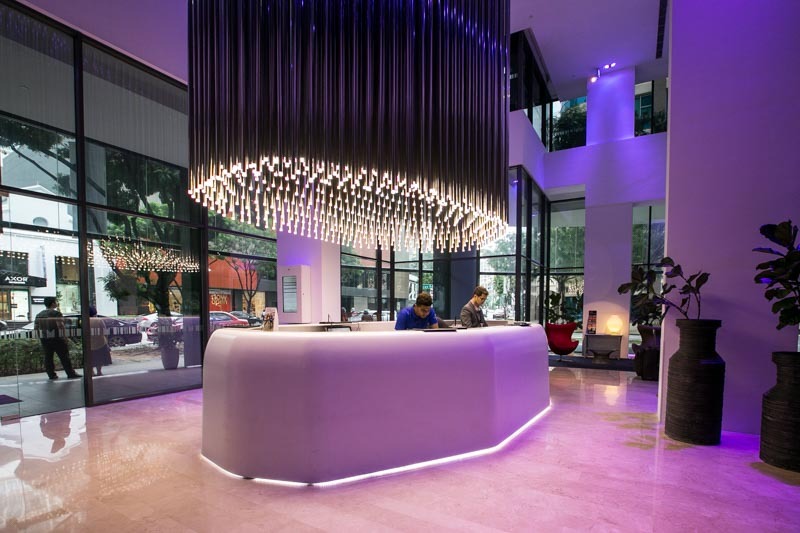 This boutique hotel was designed by contemporary Italian architect, Piero Lissoni, and features avant-garde style and modern pop-art fixtures. 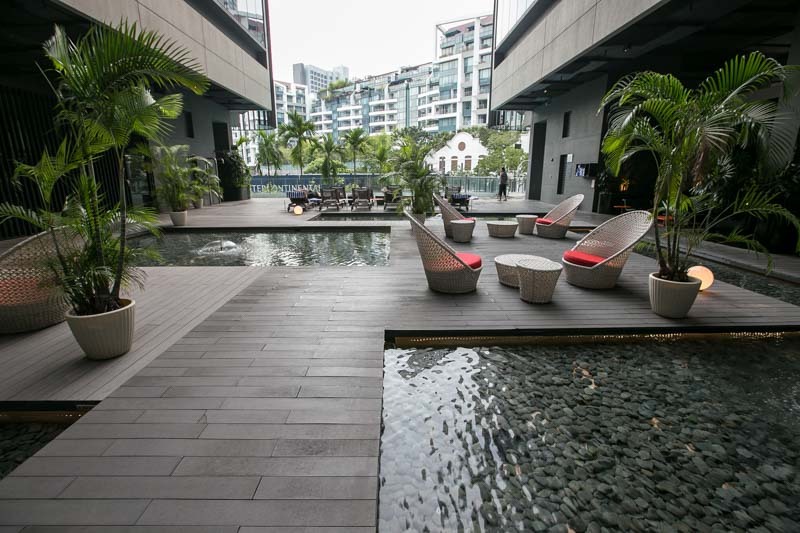 Located in the precinct of Robertson Quay, a bevy of cafes, restaurants and bars are just a stone’s throw away for hotel guests to enjoy a complete experience with all their needs catered for. After hearing many good things about Studio M, I was fortunate enough to have a staycation at one of their fully loft-fitted rooms for the weekend. Let’s pop into the room and see what’s all the fuss about, shall we? The typical rooms you’ll see pop up on social media at Studio M are the Studio Loft category, with the queen bed on the lower floor, but this time round I stayed at the Executive loft which has its bed on the second floor instead. 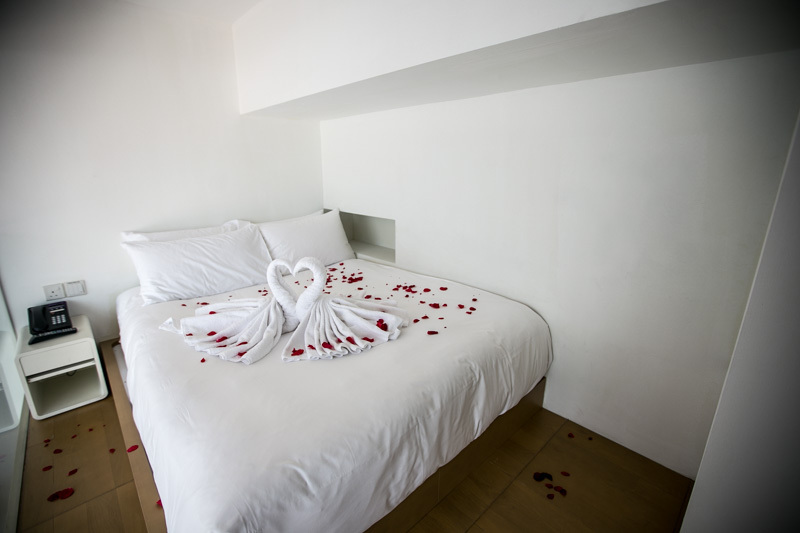 The hotel also adds in little romantic touches upon request, like rose petals on the stairs leading up to the bed and towel-folded swans in a heart shape – a fine touch to really ramp up the amorous vibes. Caution: sweep the petals off the bed before you dive in though, I’ve learnt firsthand that rose petals do stain the sheets when squished. Does the girlfriend love teddy bears? Well, there’s a huge one you can snuggle with in bed while watching TV. The Executive duplex lofts are located at the corner of each hotel floor and offer great privacy. The 3-metre high bay windows also give a gorgeous panoramic view of Singapore’s cityscape. A full length work desk is also integrated together with the multi-functional vanity area to utilize the space while providing maximum functionality. 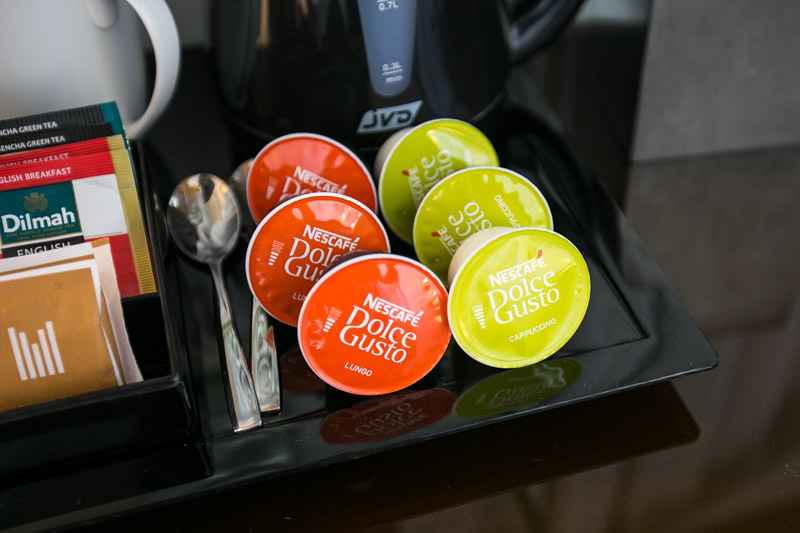 For the Premiere, Executive and Moonlight lofts, you get access to the complimentary mini-bar too (refilled daily) , while tea/coffee making facilities are available for all rooms. 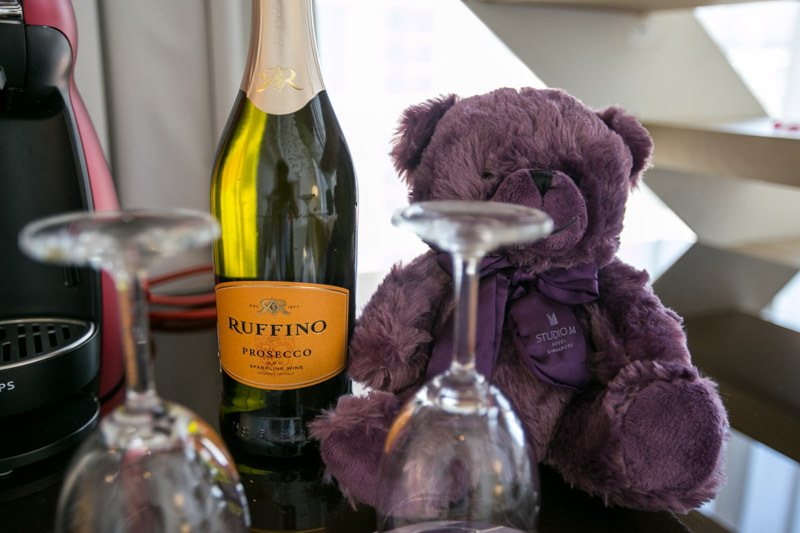 I’d also suggest ordering a bottle of bubbly prosecco or champagne to enjoy a leisurely toast in-room with your loved one if you’re here as a couple. Or to drown whatever sorrows you have staying alone in this sweet suite. 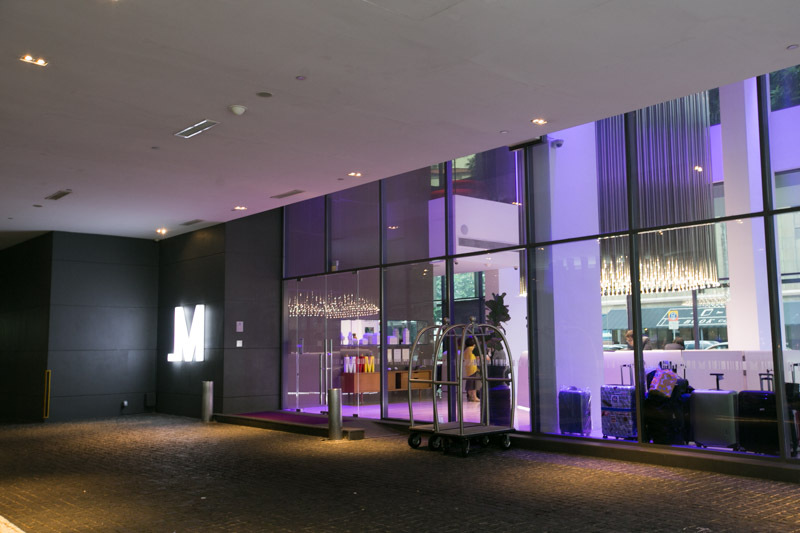 Other than the nifty rooms, Studio M hotel has various chic lifestyle elements throughout its public area like the open-air tropical deck where you can chill at the deck chairs with a glass of wine or coffee while pondering the mysteries of the universe. 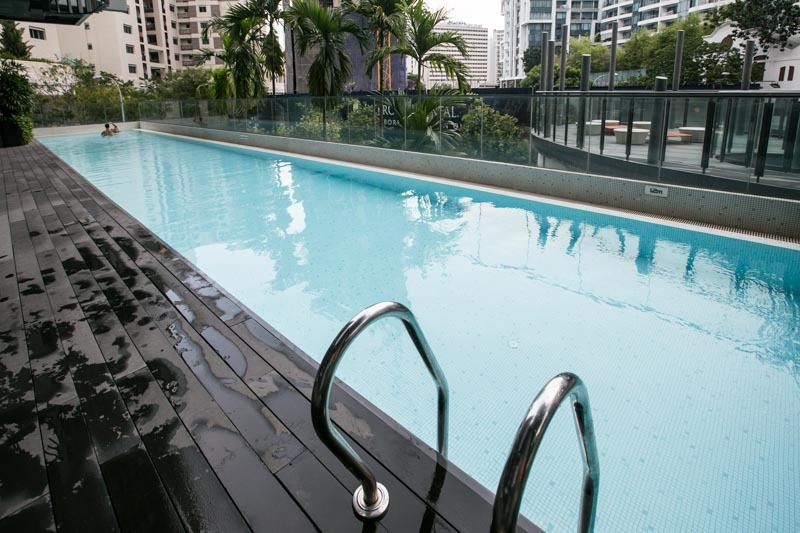 Other facilities include a 25-metre long lap pool and an open-air (naturally ventilated) gym. Not that I actually used it because exercising my mouth chewing food is all the exercise I need. 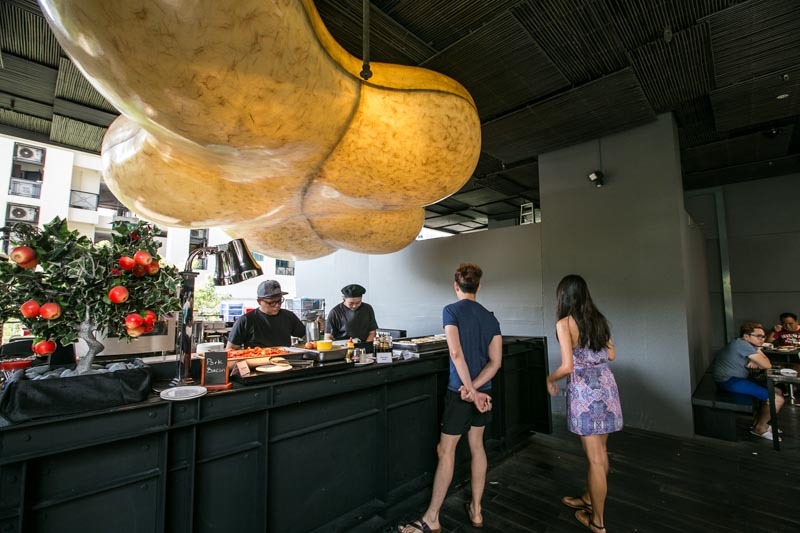 On the same level as the pool (2nd floor), you can enjoy breakfast at Studio M’s bamboo-themed restaurant with simple indulgences and local-inspired delights. The intercontinental buffet breakfast is served daily from 6.30am to 10.30am. A live egg station is also mandatory for a good hotel breakfast. Duh. 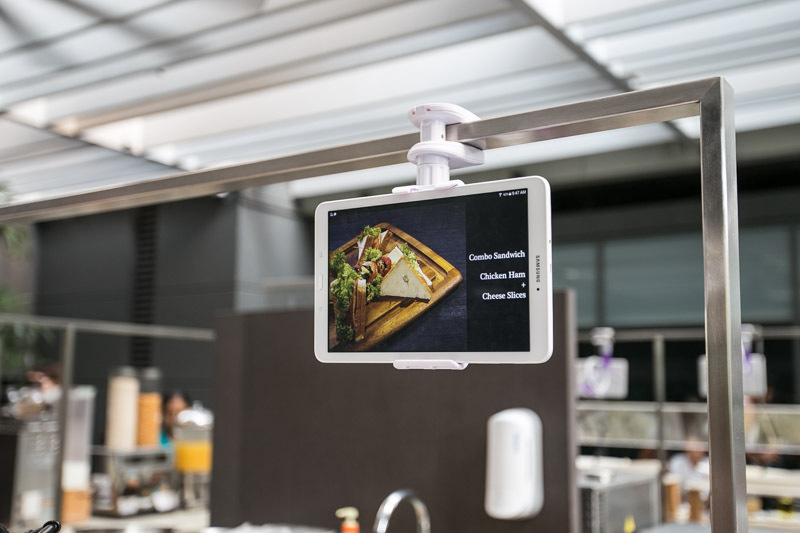 It’s interesting how most of the ingredients are laid out separately, and you can actually follow the little recipe boards above the buffet table to create your ideal breakfast. 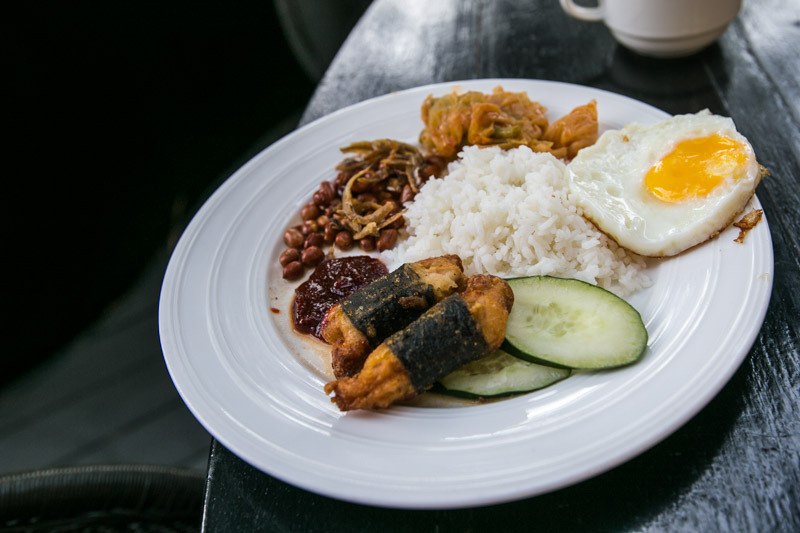 Customize your own nasi lemak or make a mega sandwich with the spread available. Here’s my own secret recipe made from the stuff available at the buffet table: French toast with sliced cheese, melted in the toaster. 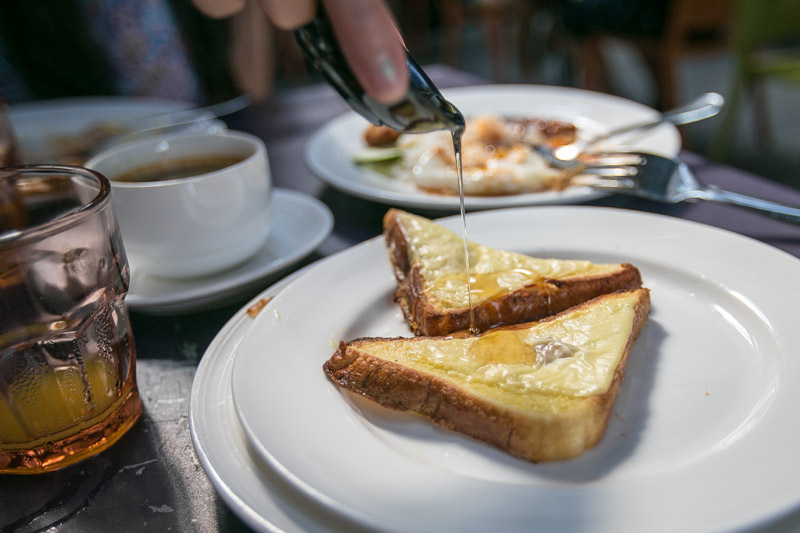 Then drizzle with maple syrup. The breakfast buffet at Studio M is a simple affair, but simplicity done well. 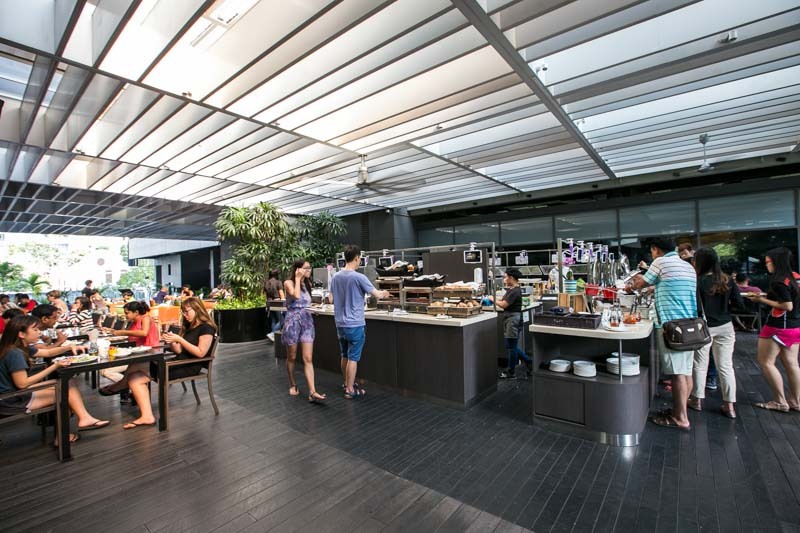 Studio M provides innovative accommodation with modern living spaces to appeal to a new generation of travelers. 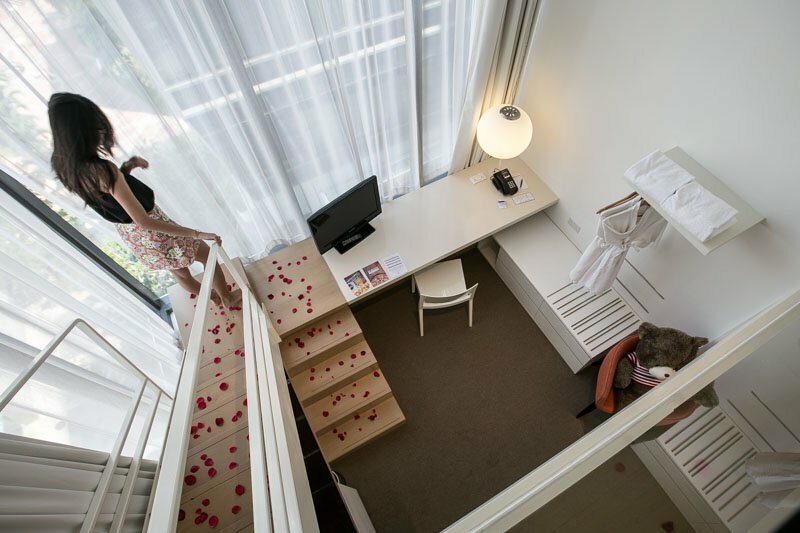 Combining style and functionality, its a great hotel especially for couples looking for a charming staycation weekend, whereby you can laze around in the well-designed room or pop out for a dinner date easily.